Clean CARFAX. CARFAX One-Owner. 4X4, Navigation, 4-Wheel Antilock Disc Brakes, ABS brakes, Compass, Electronic Stability Control, Fog Lamps, Front dual zone A/C, Heated door mirrors, Heated front seats, Heated rear seats, Illuminated entry, Lane Keep Assist, Low tire pressure warning, Memory seat, Power Folding & Adjustable Heated Outside Mirrors, Power Liftgate, Power-Adjustable Accelerator & Brake Pedals, Remote keyless entry, Traction control, Wheels: 20" x 9" Polished-Aluminum. 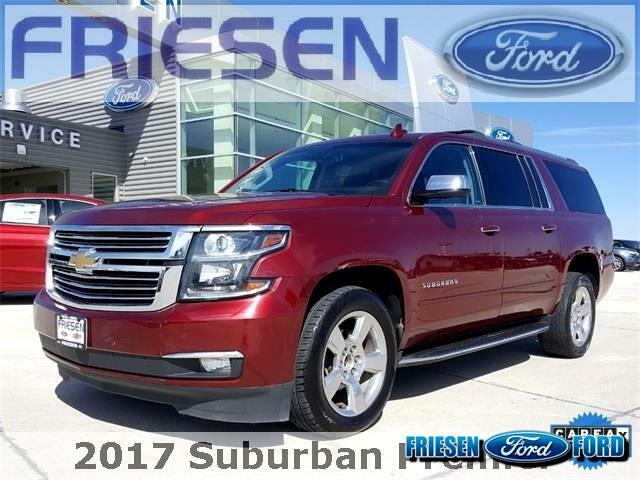 * 2017 KBB.com Best Resale Value Awards * 2017 KBB.com 10 Most Awarded Brands Shop Friesen Ford - No Documentation fees and small town service. Check us out.